Demension: 8×11×10mm , Weight: 1.7g. guided and caged accurately by the cage. It has the highest load carrying capacity and the high rigid design in the smallest structure and space. The wide distance between two guiding surfaces of cage ensures the accurate guide of needle roller and cage assembly. needle roller difference and working temperature. needle and retainer assembly. 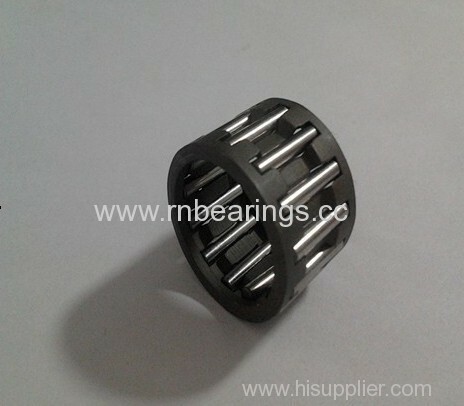 With small outside diameter size, it is suitable for the parts, where the radial sizes are specially limited, used for bearing the radial load. Model K…ZW, K…ZWD radial needle and retainer assembly is the double row radial needle and retainer assembly. convenient for mounting. Model K…D represents as the single row split bearing and Model K…ZWD represents as double row split bearing. The rod-use needle roller and cage assembly is mainly used for engine, compressor and other crankguide. letter KZK represents crank pine assembly and KBK represents piston pin assembly. has special requirement. The surface of cage can be silver-plated or copper-coated. pin). It is internally guided on the piston pin), thus increasing the length of needle.